Number 5 is very changeable number, as it is guided by Mercury. Mercury is extremely volatile and can take the shape of any other planets beside it. People who were born on the 5th, 14th, and 23rd of any month have 5 as their life path number. People with number 5 possess high level of energy and are very spontaneous in their actions. They are the ultimate multitaskers and rarely stand still. Usually they are not the ones to plan huge strategies, they act as they feel. 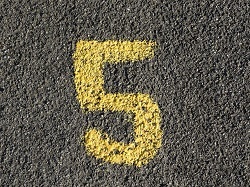 Number 5 person loves visiting new places, getting new experience, and discovering their own path. Also, they know how to manage, guide and mentor others. However, they are quite scattered in their actions, lack of concentration to finish things, and usually they hurry to much in an impulse of interest.